Despite problems with the previous launch of a classified payload designed by Northrop Grumman, SpaceX has put that in the past and is readying the world's largest rocket ever built. The Falcon Heavy is set for launch on February 6 at 1:30 PM EST with a window extending to 4 PM. Composed of 27 Merlin engines, the Falcon Heavy tips the scales at around 141,000 pounds. All of those engines present points of possible failure, but together generate over 5 million pounds of thrust during liftoff. Regardless of being one the most massive rockets ever built, the Falcon Heavy is able to carry more the twice the payload of any other currently available launch vehicles. The only real point of comparison to the Falcon Heavy is the Russian-built N1 moon rocket that had 30 stage one engines. However, given that the Soviet Union failed to ever successfully launch an N1 rocket and the last attempt took place in 1972, SpaceX holds many modern advantages. Since this will be the first launch of a Falcon Heavy, a dummy payload of a Tesla Roadster will be on board. The 2,760 pound payload will be launched towards the orbit of Mars and is expected to end up in orbit around the sun if all goes according to plan. 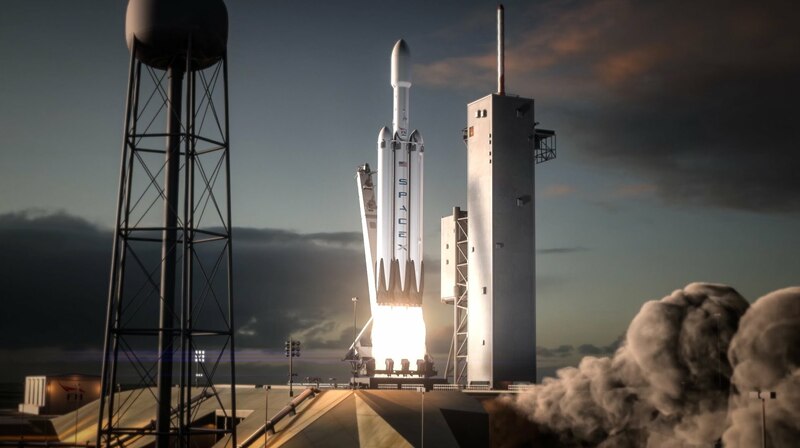 At maximum load, the Falcon Heavy can carry almost a one-to-one ratio of payload capacity. Up to 140,660 pounds of material can be put into low Earth orbit, although that number shrinks to 37,040 lbs for a trip to Mars and 7,720 lbs when traveling to Pluto. As far as space travel goes, Falcon Heavy missions are relatively cheap given what they can hopefully accomplish. Mission pricing starts at as little as $90 million.